I am excited to introduce the first in a series of quarterly columns sponsored by the Section on Public Administration Education (SPAE) and written by our members! This column is an effort to help advance one of SPAE’s main purposes as defined in our charter – to provide a “forum for information exchange among members in regard to innovative curricula and pedagogical approaches.” This column is also part of a larger effort by the SPAE Executive Board and its members to help advance the quality of teaching in our field. Hosting an interactive half-day workshop, Public Administration Competencies: Are We Meeting Practitioner Expectations, on March 17, 2017 from 1 p.m. to 4 p.m. at the ASPA Annual Conference in Atlanta, GA. Sponsoring the 40th Annual Teaching Public Administration Conference (TPAC) at the University of Nebraska Omaha, May 31 to June 2, 2017 – we invite you to submit a proposal and/or register for TPAC. 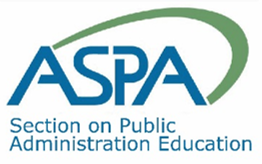 Sharing resources, innovative ideas and good teaching practices on our website and Facebook page and periodically hosting webinars – for example we hosted a webinar for graduate students and new faculty, Teaching Public Administration: In Person & Distance Learning, in conjunction with ASPA on Jan. 25, 2017. I invite you to take advantage of these opportunities to engage in dialogue about, and improve, one of the most fundamentally critical activities we do to advance public service and the public interest – teaching. Start by reading this timely column by Michael Popejoy about effectively managing classroom discussions on important, yet controversial topics. While reading blogs posted by professors after the Trump presidential election, it became clear some professors are presenting the reality of the new administration and answering difficult questions from students. How can professors maintain a civil classroom environment while addressing tough questions and comments? Many students without public work experience must learn to engage in discussions of controversial issues without expressing severe emotions. This is part of the public policy, political and social processes endemic to certain degree programs and careers. Students seeking careers in public service must learn to engage in debates on issues without offense or creating a hostile environment by aggressive language or attitudes. This is essential to development of mature professionals in public service. Students are unpredictable. Professors face each course from two directions: one, maintain students in their collective “happy place;” or two, they can force students to confront political realities. This is less pleasant and riskier to the professor’s career, particularly adjunct instructors who students dismiss easily based on dissatisfaction. Psychologists agree adults are hard wired in personality and worldview by their mid-twenties. The average adult student in U.S. colleges are over 30, some in their 40s, 50s and older. It is expected students have hardened siloed worldviews and significant tensions erupt as worldviews are challenged by revelations of new information. The results are tense discussions with open hostility and resentment toward the source of this new information, the professor and/or the textbook. Adults do not modify their views lightly and argue vehemently the position held for years even in the face of overwhelming evidence challenging strongly held beliefs. Student beliefs affect how they receive instruction. This points to the contestation and resistance students exert on curricula as their perspectives meet differing value systems embedded in curricula. What topics potentially lead to tension in class discussions? Issues include: abortion, capital punishment, profiling by law enforcement, poverty and welfare, health care rationing, gun control, prison systems and incarceration, low-income housing, homeland security policies and procedures including surveillance protocols; and every public policy under consideration. Whether liberal or conservative, emotions run high on issues of what government does or does not do toward correcting social problems. Professors should have a grasp on topics with the greatest emotional impact on students and preparation in class civility should begin with the syllabus. Further, in the course introduction, during the first session, tell students what to expect, drawing attention to the section in the syllabus where civility and critical thinking is discussed; and, engage in frank discussions to ensure students understand what to expect. Preparation is unlikely to eliminate all hostility, but should minimize emotional intensity during discussions of controversial issues. If students are desensitized to offensive issues, then it is beneficial they also be sensitized on how to handle offensive issues since the classroom is not the first or the last they will hear of them. This is a fact of professional life in public and private sector careers. Classroom civility means only one person speaks with the professor as moderator. Too often events spin out of control because many students voice their thoughts simultaneously; and, no one is listening because everyone is talking; and, small groups of students start talking and drift away from the direction of the discussion topic. Students may become angrier because they cannot get their views expressed, so they raise their voices, escalating emotions to a point where no one understands what anyone is saying. At this point, they have even stopped listening to the professor but often they are also now angry with the professor. As a particular discussion winds down, professors should ask if everyone has had their voice heard. Sometimes this is when one quiet student expresses an opinion. It also demonstrates to the class the professor is interested in every opinion, which deflects hostility that the professor is advocating a particular position on an issue. However, professors should play devils’ advocate to stimulate debate rather than a passive role to avoid debate. And, in homogeneous classes, groupthink takes over due to the commonality of the students by gender, race, religion, etc. Professors who ask open-ended questions on examinations may also be questioned by students on how opinions will be scored. Obviously, professors score essay answers with some qualitative subjectivity despite detailed rubrics. Professors should be honest in descriptions of the essay question scoring process. Understanding how to express informed opinions is critical for students in developing the discipline of arriving at conclusions with a defendable critical thinking process, by using one of the models of critical analysis presented in the course. Adult students are accustomed to rendering opinions as verifiable fact. Key is the difference between “opinions” and “informed opinions” complete with citations from the literature regarding topics under discussion. Students preparing for public careers should understand when they are shooting from the hip on important issues, the media fact checkers will catch them and their public credibility will be jeopardized. Author: Michael W. Popejoy, PhD. Received a Ph.D. in public administration from Florida Atlantic University. Currently, Book Series Editor for Public Administration and Public Health, Nova Science Publishers, Inc. New York and has been an adjunct professor in public health at Florida International University. Primary focus is the necessary interdisciplinary crosswalks between public administration and public health and health policy. Murat Daoudov, thank you for your insightful input regarding the importance of unbiased, open professorship. Our classrooms should be an opportunity to learn, for all of us, and not a stage to forcibly insert our (the professor) one-sided views–on anything! We are supposed to be teach (through example) the importance of looking at any situation, from both sides, and then, and ONLY then making an INFORMED opinion about a topic. Only today I saw your valuable comments to my remarks; somehow the webpage did not notify me about this exchange. I agree with you very much and in fact in my classes I try my best to adopt innovative/active learning approach that seeks to help the students to gain an informed opinion. As example, I do the following experimentation in my BA classes: rather that explaining them the topic and giving them “the answers”, I first give them only a general/introductory framework and few indications in the first few classes; then I assign them field research tasks (but they choose freely the target organization they want to focus on). Thus my students go on the ground and “touch” the reality (for example they interview directors of municipal departments, chambers of industry, and even famous mayors). Then they make presentation in the class; we discuss together and check the reality as they find it against the ideals, the theory. Slowly the answers start to emerge for them, even if not fully clear. And it is then, towards the end of the semester that I, as teacher, with my point of view, “re-enter the stage” and share (my) answers. In fact I find that, like better results in sport after an initial warming exercise, their minds become more receptive, they understand better and quicker, and even bring their answers (that complement or even sometimes challenge my own knowledge or point of view about the topic). So, rather than imposing my truth upon them through one-way lectures, I try to lead them towards their own quest for the truth, which often may at the end join my own point of view or may also diverge. Thank you again for your nice remarks. I searched for you on Linkedin and sent you an invitation. Would be honored to stay in touch. Congratulations for this first successful column of the Section on Public Administration Education. I support the author’s statement that “students seeking careers in public service must learn to engage in debates on issues without offense…” and would like also to add the following: One of the objectives for PA teacher is to “depolitisize” his/her students and teach them how to adopt a neutral, unbiased approach on various topics related with the public affairs and politics. This doesn’t mean to push them to change their opinion, but to teach them, through examples, how to listen to the other side, how to understand the arguments of the opposite camp, even in the case if we share with the student a similar opinion. By adopting an ideologically neural standpoint on the issues, by challenging our own beliefs, and even sometimes playing “devil’s advocate” we offer to our students a concrete illustration on how they should act when they will assume public responsibilities. Even though a general rule, this is particularly the case for the students of Public Administration field who will work in the public sector than for those who study Political Science and make career in pure “party politics”, where ideological convictions and partiality may seem more “natural”.